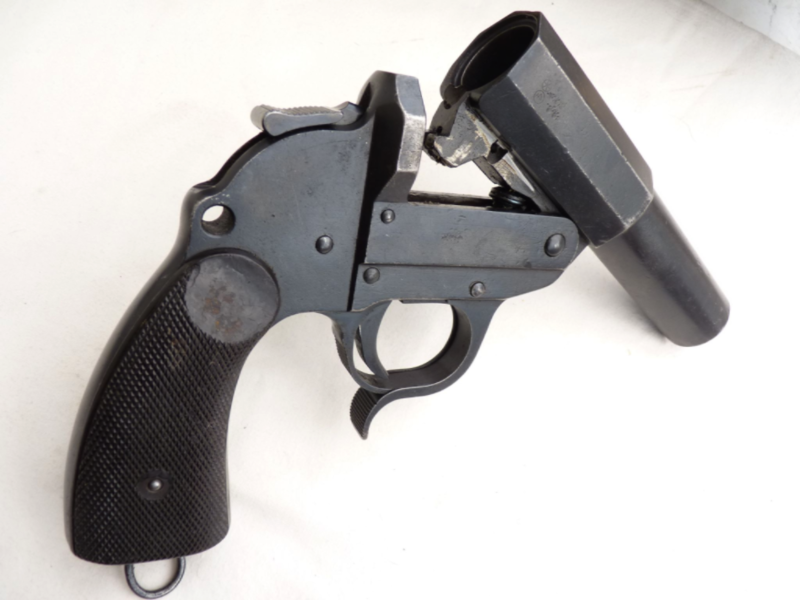 This is a Walther made flare and signalling pistol made at the Zella-Mehlis factory in Thuringen, Germany, prior to and during WW2, before being flattened by allied bombing. 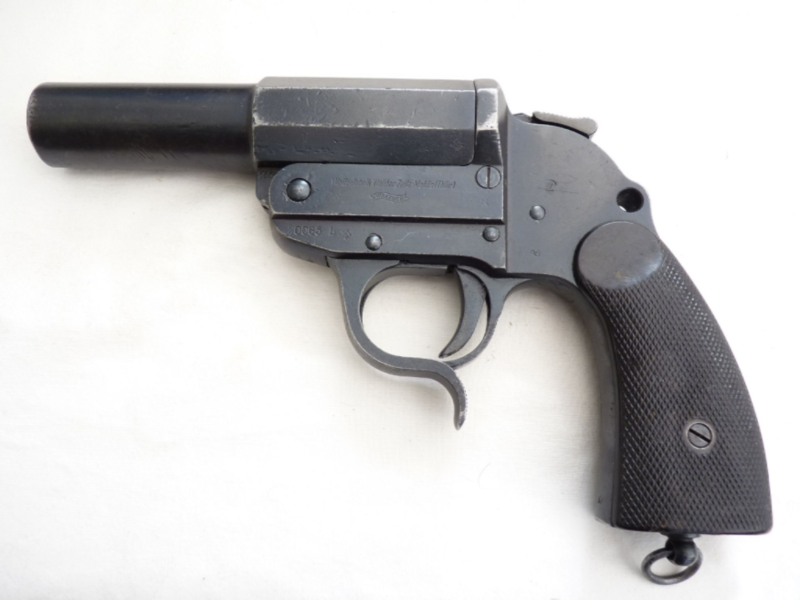 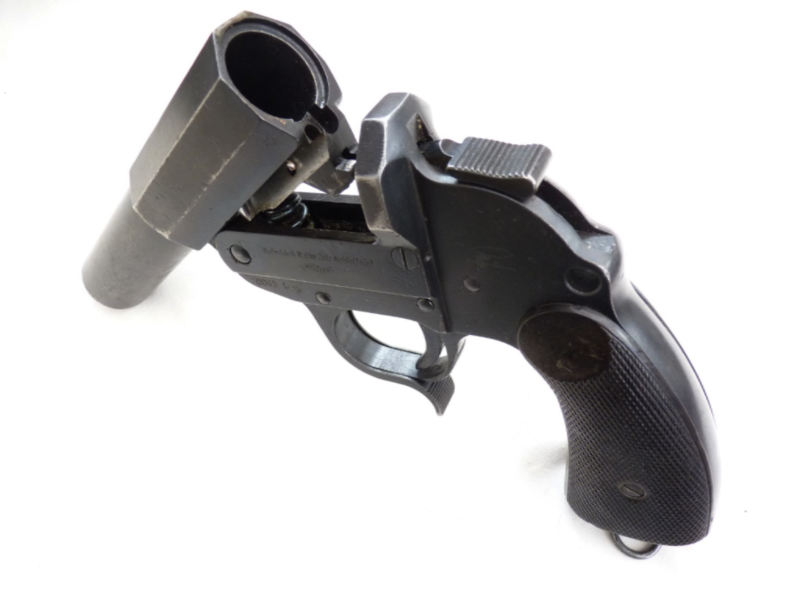 The model 1928 was the standard flare pistol for all German wartime forces and this all-steel construction would have been a pre-war made example. 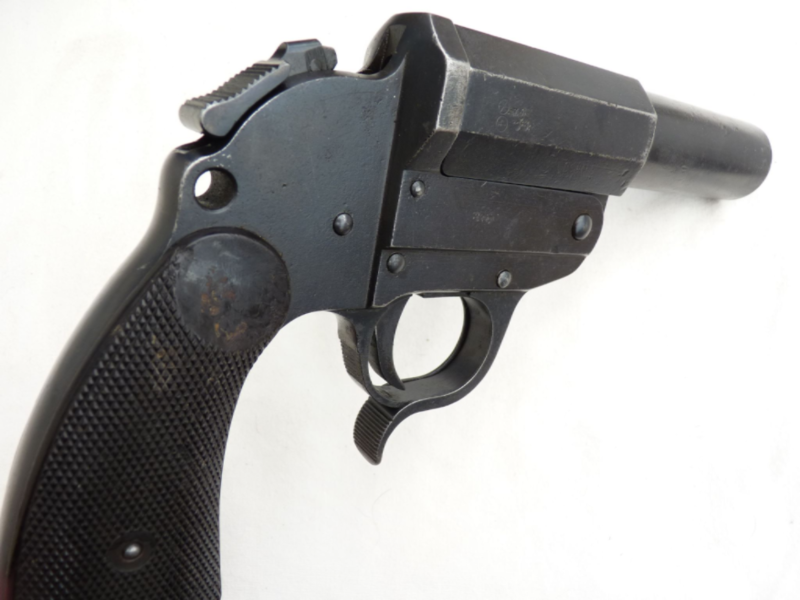 Chambering a 27mm flare cartridge, this example is in very good condition, with most of its blacked finish remaining and near perfect bakolite grips with no chips or cracks, matching serials to frame and barrel. 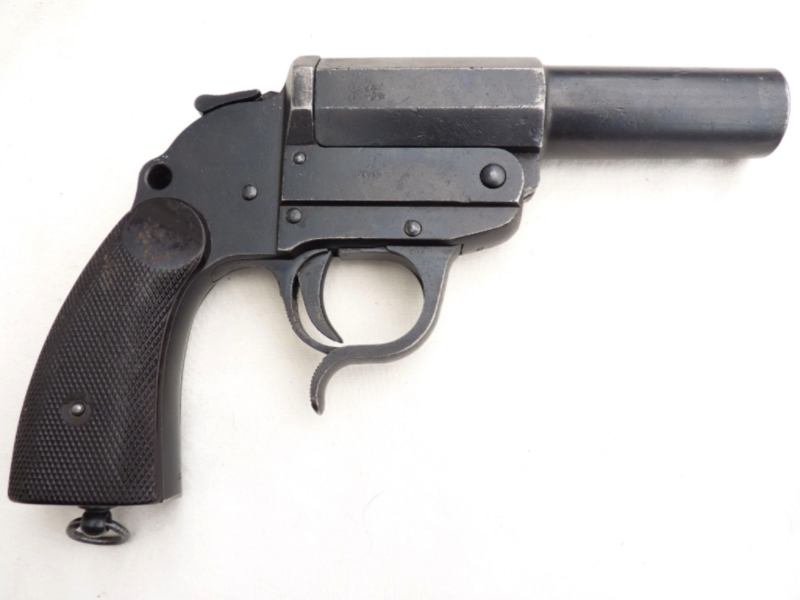 With full working break-action and capable of being cocked and dry-fired.